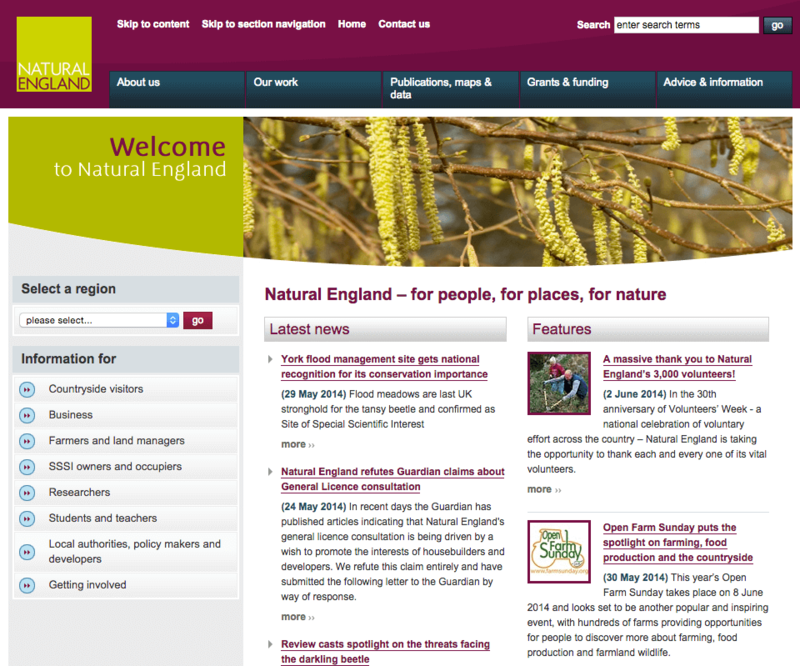 This advisor to the UK government wanted to update its corporate website explaining its role in ensuring that England's natural environment, including its land, flora and fauna, freshwater and marine environments, geology and soils, are protected and improved. An engaging, good looking site with over 3,000 pages of content. A lightweight editorial workflow allowing business managers to regulate editorial output and rapidly deploy approved articles to the site. The Tridion CMS was installed from scratch into a resilient, distributed design and integrated into IBMs virtualised hosting platform, associated services and common codebase. Maintenance and updates were dovetailed into IBMs stringent Business as Usual processes governing all digital services within the Department for Fisheries and Rural Affairs (DEFRA). True Technical also provided the bridge between stakeholders at Natural England and technology experts at IBM.